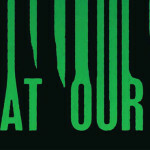 In anticipation of Kim Newman’s upcoming lecture at The Miskatonic Institute of Horror Studies – London this coming Thursday (April 9th – details HERE), which will get knee-deep into the production history and political subtext of Gary Sherman’s beloved 1972 horror film Death Line, the Psychotronic Tourist comes back after nearly a year hiatus (our last installment being Possession in February of 2014!) 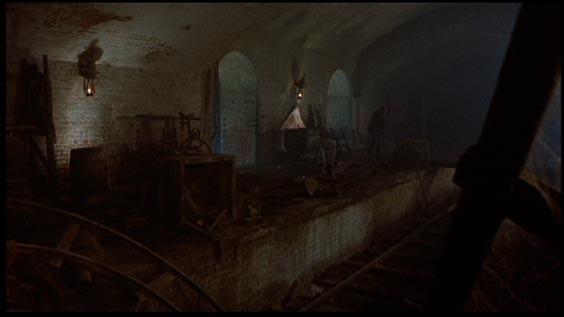 to look at the various locations that make up Sherman’s subterranean masterpiece about the last in a line of cannibals descended from Victorian rail workers who were buried alive when constructing London’s tube system. 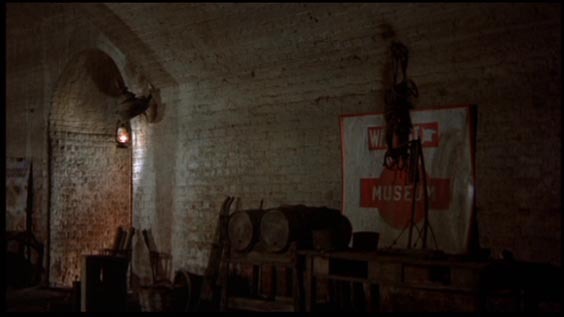 Sherman referred me to the film’s First AD Lewis More O’Ferrall to verify some of the locations, but even between the two of them some of the locations (the bookstore, the pub) remained a mystery, with only vague recollections of where they may have been in (the bookstore possibly on Museum Street, the pub possibly in a since-razed area of York Road in Battersea). 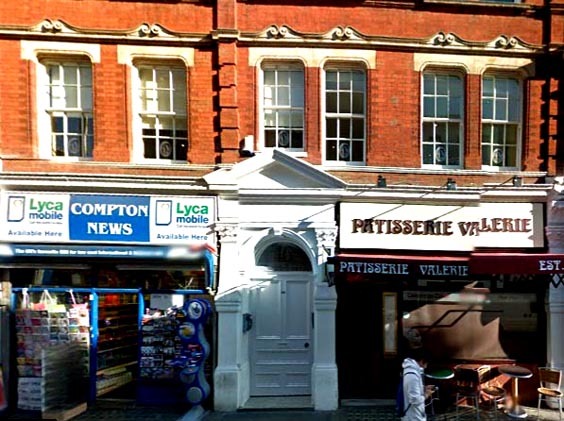 My own research and extensive google streetview-mapping turned up nothing that matched (anyone with a line on either of these locations please let me know so I can update!). 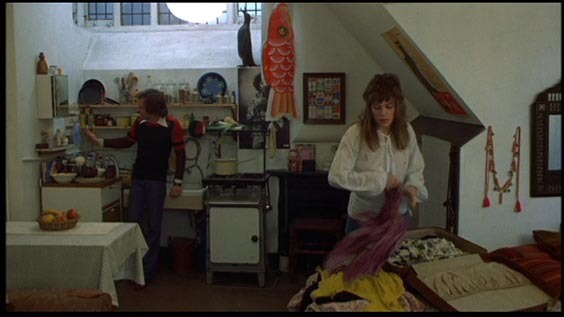 To create the article below I spent many, many hours comparing tiling, brickwork and windows in order to cull together any locations that the filmmakers couldn’t recall (it was over 40 years ago, after all! 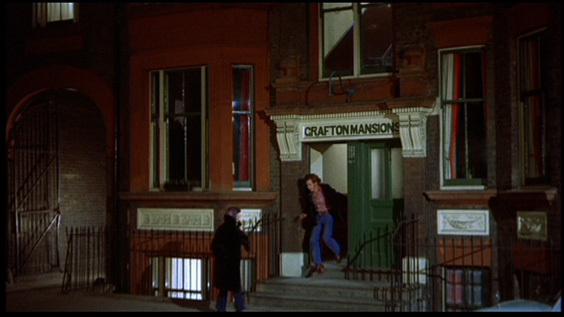 ), so below is a survey of the film’s locations that remain and can be visited by curious movie tourists, followed by a handy map. 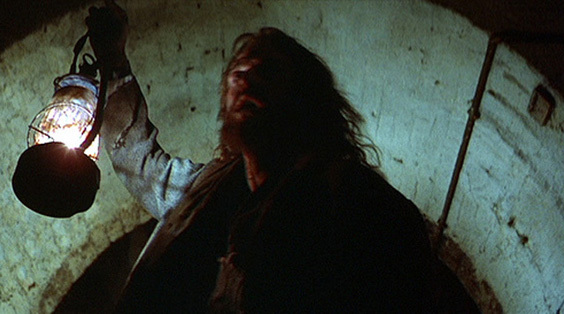 And the best part is, if you come to Kim Newman’s lecture at Miskatonic London (which is housed by The Horse Hospital in Bloomsbury), you’ll be passing right through Death Line’s main location to get there. 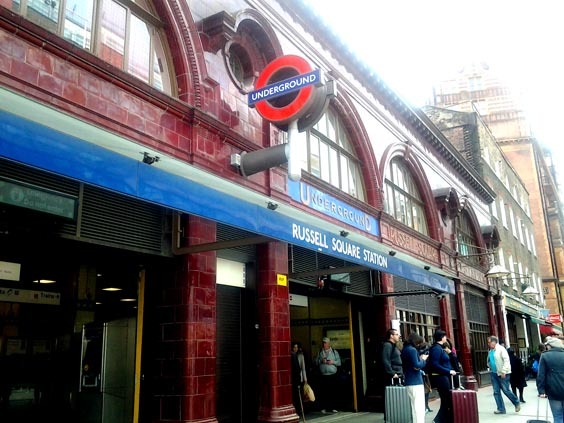 Located in London’s Bloomsbury district – once a hotbed of literary talent and only steps away from the 18th century Horse Hospital that was rechristened as an arts venue of the same name in 1992 – Russell Square tube station was designed by architect Leslie Green (who designed at least 29 of the original tube stations, most recognizable by their blood-red brick, semi-circular windows and patterned tiling) and opened in 1906. 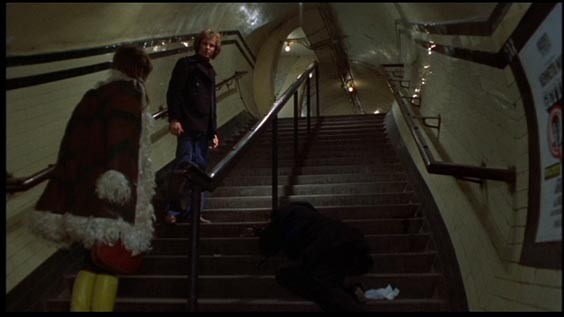 While Russell Square is the primary tube location of the film, it is really only the exterior that is used; the actual subway platform, stairwell and lift are filmed in Aldwych Station (more on that below). 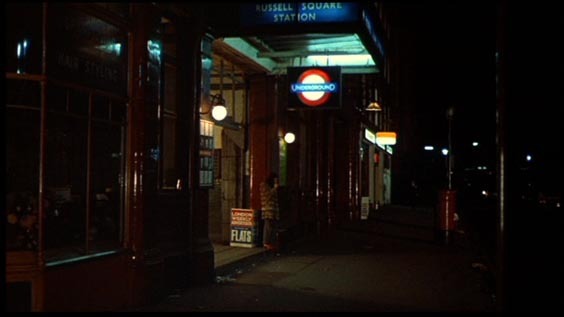 Geographical license allows for the lecherous character played by Cossins to turn the corner in the heart of seedy Soho and end up at Russell Square Station, but this is only one of the film’s many clever co-minglings of fact and fiction; Russell Square is near to the British museum, which allowed for director Gary Sherman to create the fictional “Museum Station”, under which we find the cannibal’s lair. 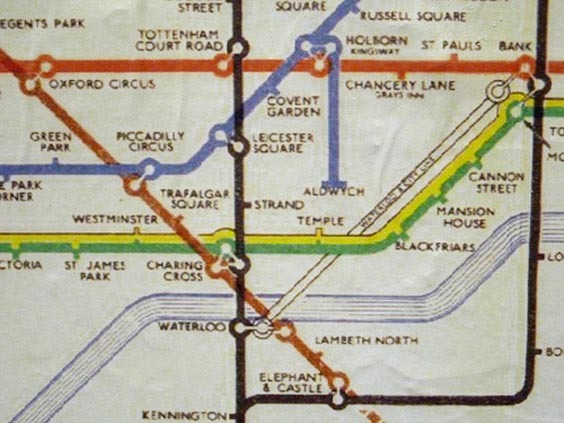 The confusing history of several tube stations is a big part of how the tube geography of Death Line could easily lend to its adoption as urban myth. 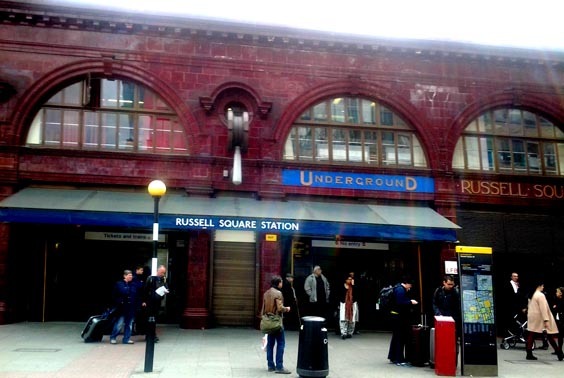 Despite the exterior of Russell Square Station being used as the cannibal’s main conduit to ‘above ground’ civilization, the platform itself was filmed at the now-disused Aldwych Station, which sits beneath the intersection of Strand and Surrey St.
Aldwych was an odd station that essentially served only a shuttle train between two stops – Aldwych and Holborn. 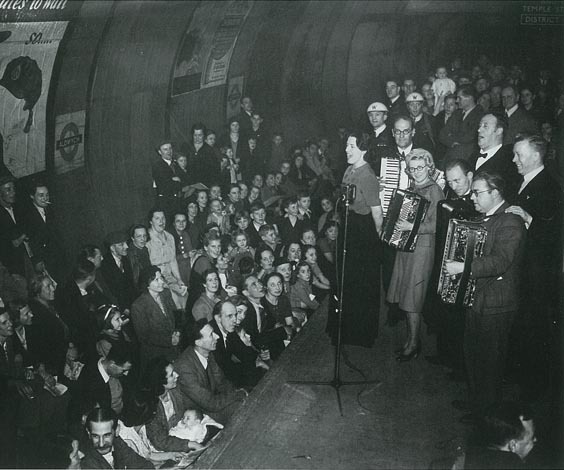 With several plans for extension successively aborted, the station became increasingly avoided by passengers in favor of other connections. 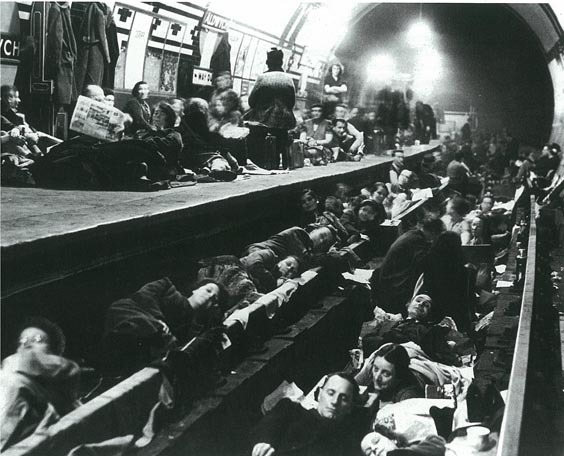 During WWII the station was closed for six years and used both as a storehouse for valuable artworks from the National Gallery, as well as a bomb shelter that housed thousands of Londoners during the Blitz (which brought its own problems of ventilation, sewage and illness spread by mosquitos). 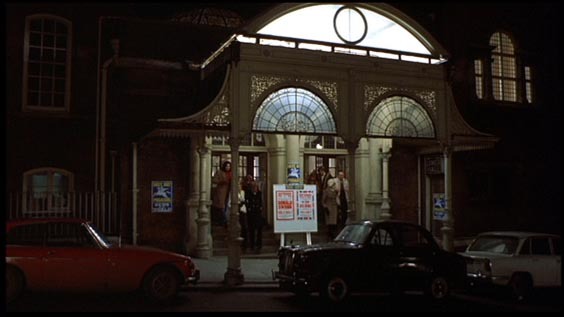 By the time of Death Line’s filming in 1972, Aldwych station was only being used during weekday peak hours, which made it a popular location for filming. 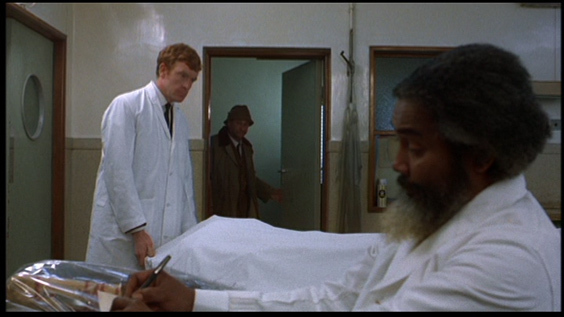 Death Line was only one of many films to shoot there (including Christopher Smith’s own Death Line riff Creep in 2004). 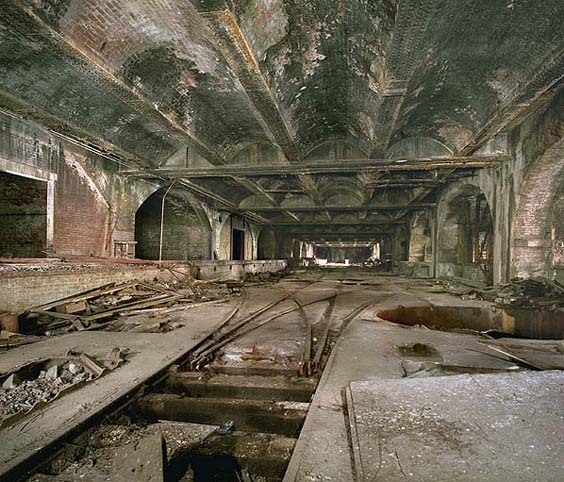 As an added bonus for filmmakers looking for a creepy setting, the station is reputedly haunted by the ghost of an actress from the original Strand Theatre that stood on the same spot. 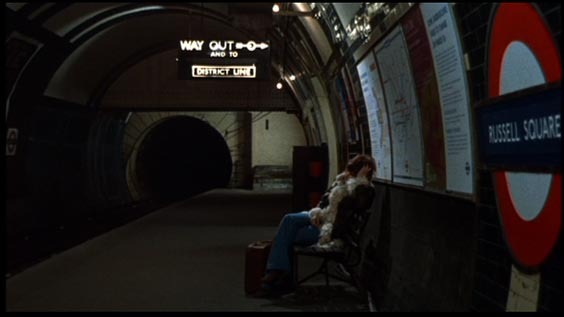 Still – It’s interesting that the film creates this alternate history of the London tubes. 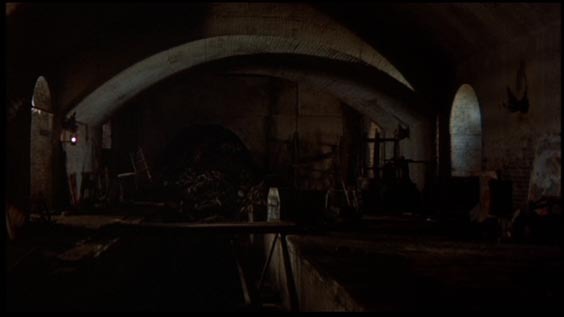 Not only does the use of Aldwych station bring its own pop-cultural baggage about people being ‘holed up’ in the tunnels, but geographically, the abandoned fictional “Museum” station appears roughly where the real-life disused “British Museum” station sits. 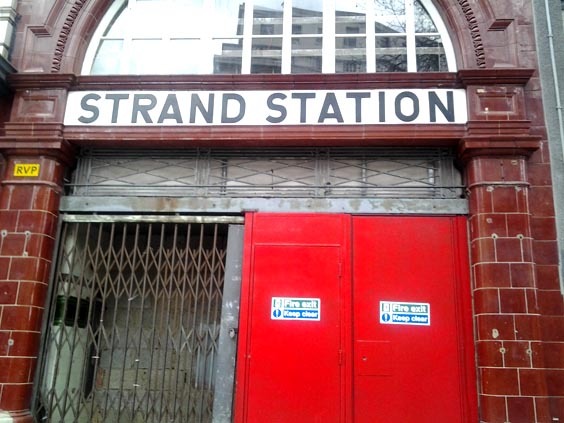 Part of the reason for the series of disused stations throughout London is that the different tube lines were originally built and operated by different companies. 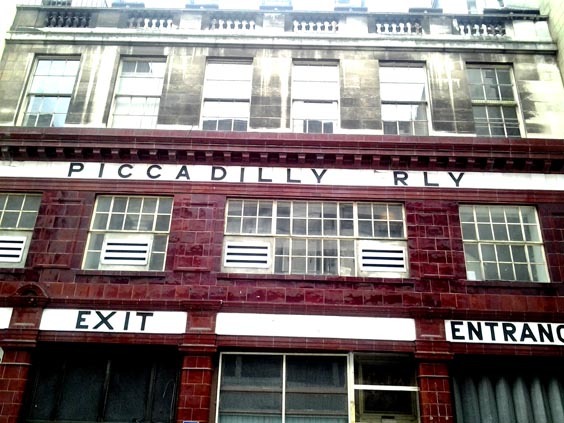 While they would often try to collaborate in creating connecting platforms to accommodate travellers, sometimes there would be redundancies; British Museum station opened on the Central Line in 1900, while Holborn opened on the Piccadilly Line in 1906 only 100 yards away, and in a much better location for transferring to above-ground tram lines. 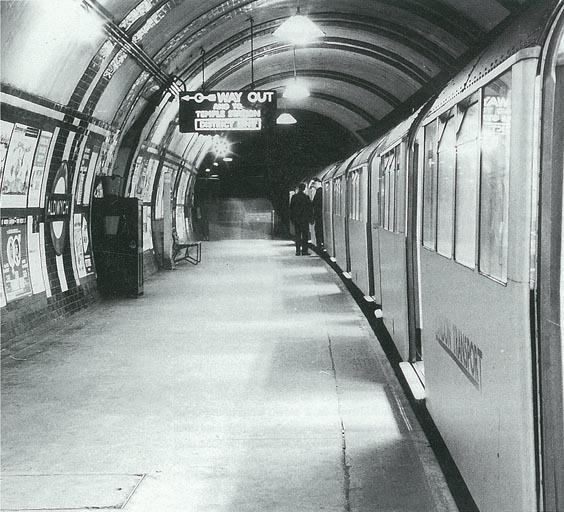 As a result, British Museum station closed in 1933, the surface station demolished in 1989 and the remaining tunnels are now used solely for storage. This kind of muddying of fact and fiction is part of what gives Death Line such credibility despite what could otherwise be seen as a far-fetched storyline. 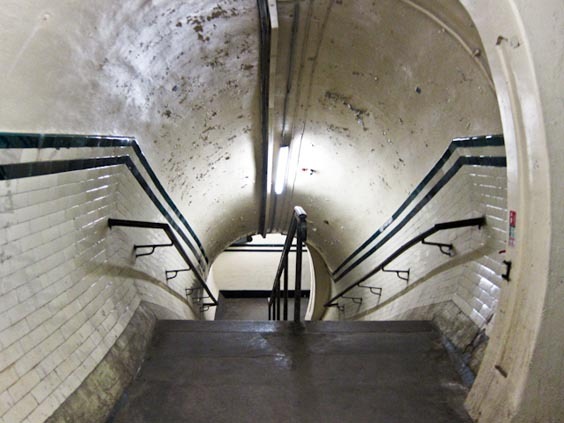 Aldwych station has been permanently closed since 1994, although seasonal tours allow visitors to explore its underground history. 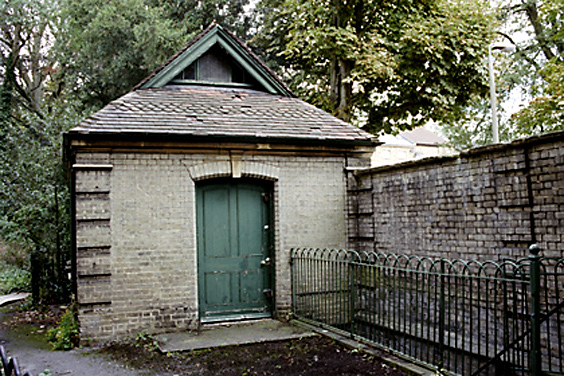 The mortuary at Normanfield Hospital still exists and is easily accessible, as it is located right along Normansfield Rd against the outside wall. 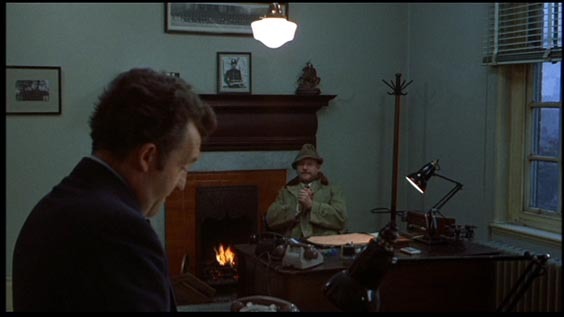 But from the exterior it is hard to tell whether or not the tiny building would have been the morgue location used in Death Line. 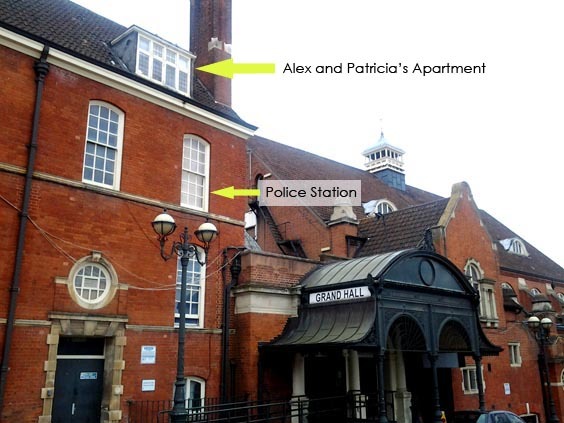 The windows certainly don’t match, and as a Grade II-listed building, it wouldn’t have been changed. 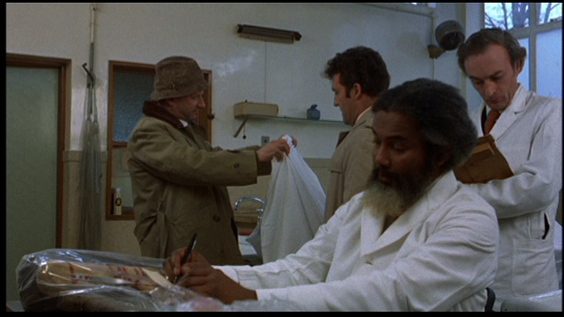 But assuming O’Ferrall is correct – and that perhaps the morgue is somewhere else on the premises – the Normansfield Hospital makes an interesting choice of locations, especially as the sprawling hospital was in period of scandalous decline at the time of filming. It was opened in 1868 by Dr. John Langdon Down (after whom Down’s Syndrome is named) as a private asylum for children with developmental disabilities, and named ‘Normansfield’ in honour of the solicitor who helped them secure the mortgage on the large estate – which then consisted of a large mansion and five acres of land (the grounds grew to comprise 32 acres). 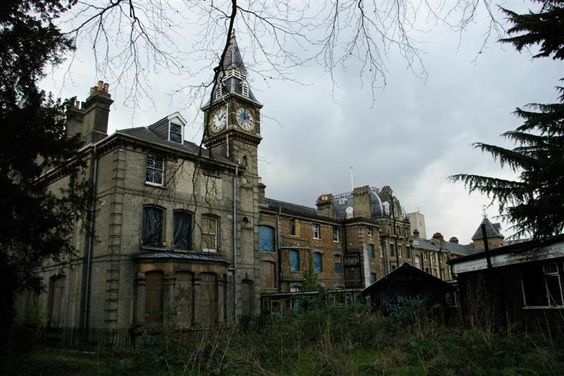 It was originally called the Normansfield Training Institution for Imbeciles, and was renowned throughout most of the next century as a caring, family-run institution that gave true quality of life to children and adults who had previously been locked away by their wealthy families (the admittance fee was £200 per patient, then an extraordinary amount). 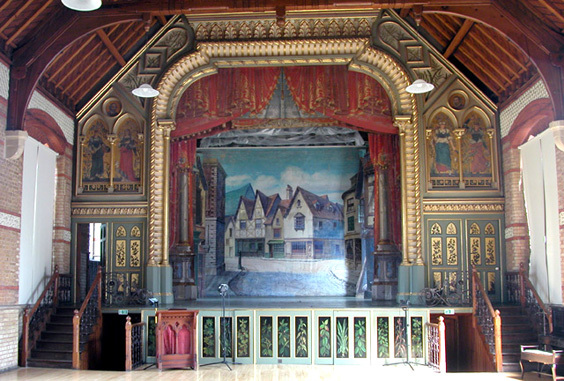 The hospital even housed a lavish theatre, built in 1879, in which the staff performed plays and recitals, sometimes involving the patients themselves. 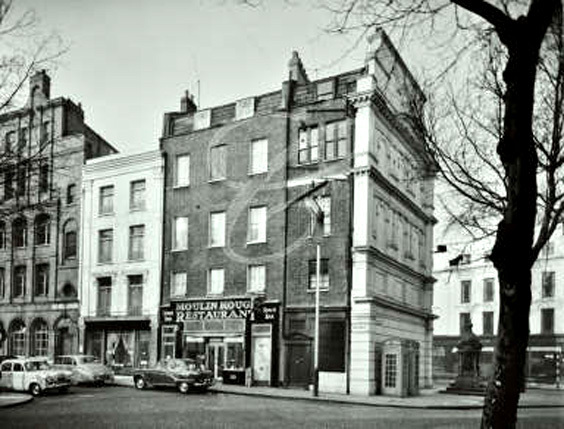 But by 1970, Dr. Norman Langdon Down (grandson of the hospital’s founder) retired, and the private hospital had been integrated into the National Health Service who appointed Dr. Terence Lawlor – a psychiatrist who has been described by past nursing staff as “deliberately perverse and cruel,” – as head of the institution. 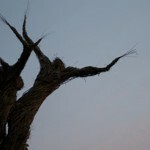 The hospital’s reputation sharply declined; the facilities were filthy and patients were not properly cared for and rarely allowed outdoors; as a result the nurses went on strike in 1976, prompting an investigation that resulted in Lawlor’s dismissal. 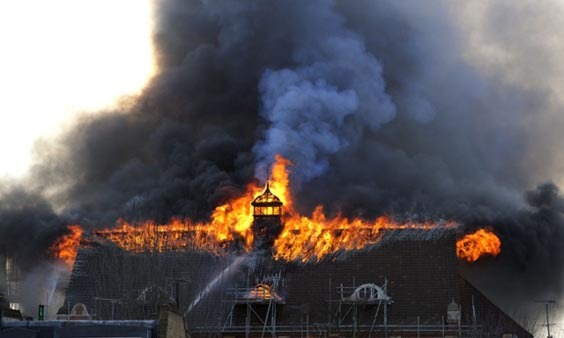 (There is an ongoing oral history of Normansfield posted at https://normansfieldhospital.wordpress.com/. 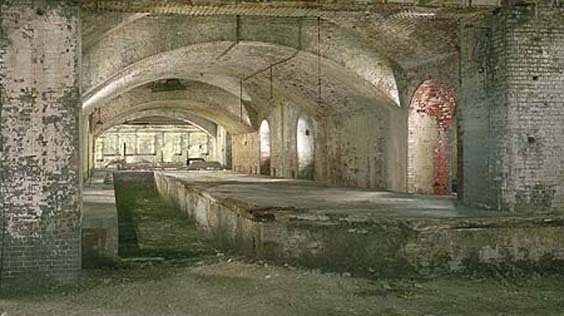 The entire site was bought in 1999 and parts of it were redeveloped into the Langdon Park housing estate, although many buildings on the premises remained derelict for many years (see some great urban explorer pics here: http://opacity.us/site149_normansfield_hospital.htm ). 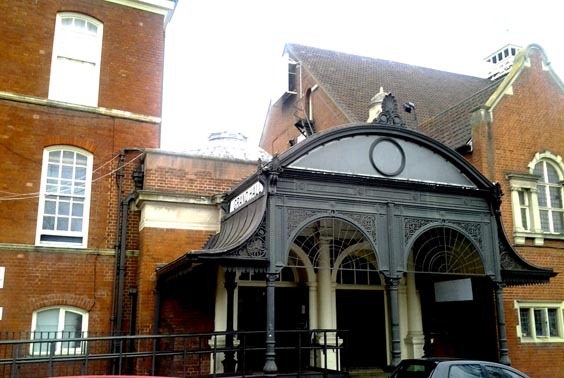 They also restored and re-opened the hospital’s amazingly-preserved Victorian theatre as the Langdon Down Centre, which is now owned and operated by the Down’s Syndrome Association. 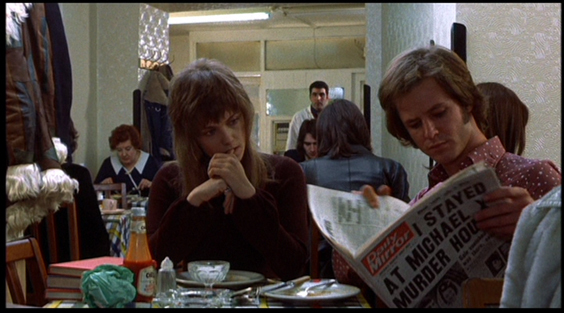 Earlier in the evening before Patricia gets abducted by the cannibal, she and Alex have a meal at a crowded café in Soho’s bustling theatre district. 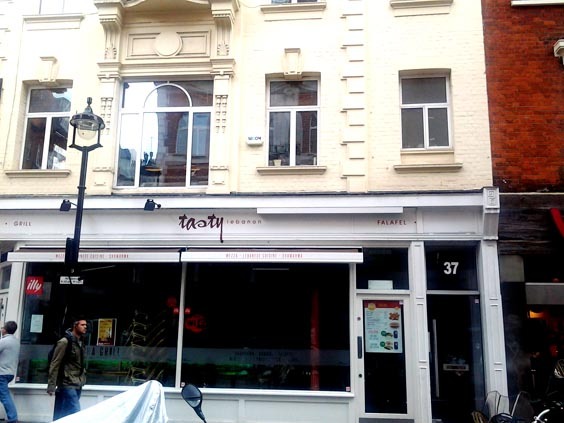 “This was a restaurant at the top of Shaftesbury Avenue,” says More O’Ferrall. 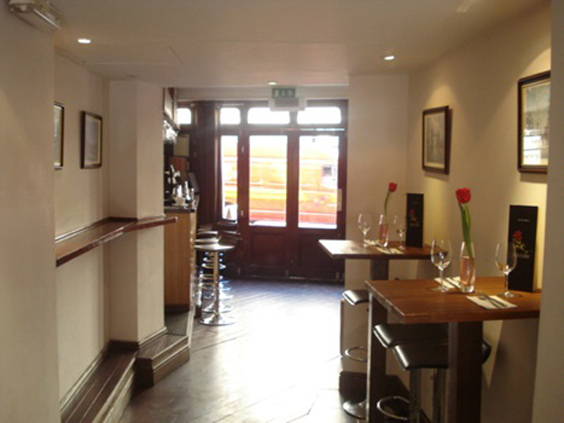 “It was owned by Cat Stevens’ father.” It was also where Cat Stevens had lived until only two years earlier, and where he would occasionally still wait tables. 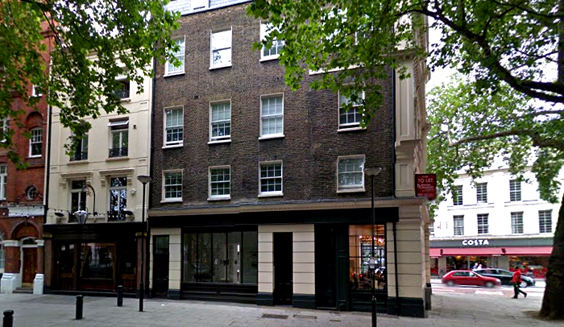 There were entrances on both New Oxford Street, and Shaftesbury Avenue, the latter seen below. 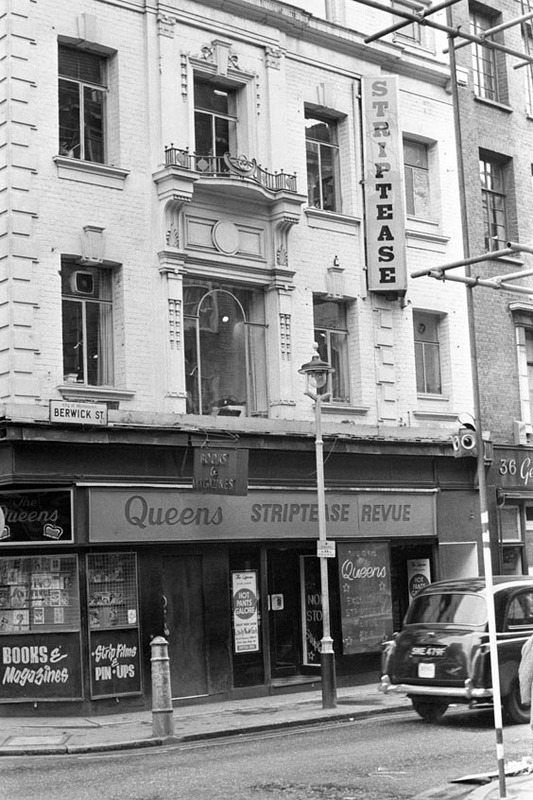 In the 70s (post-Death Line) the Moulin Rouge was renamed Stavros (Cat Steven’s father’s surname) and has since gone through many incarnations – it was re-opened in 1994 as Alfred’s, later as Nama, and later still as The Shaftesbury Bar and Dining – but is currently partially vacant, with a fancy Turkish barbershop running out of the New Oxford St. entrance. 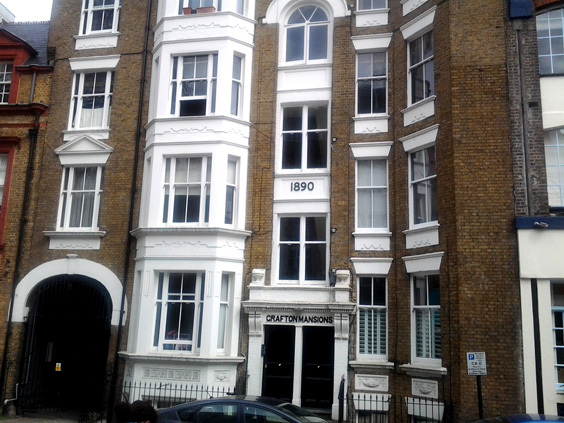 This 1890 Victorian building replaced older buildings in what was meant to be an exclusive residential area; Dukes Road was gated until 1840, with residents having to show a silver ticket to gain access. 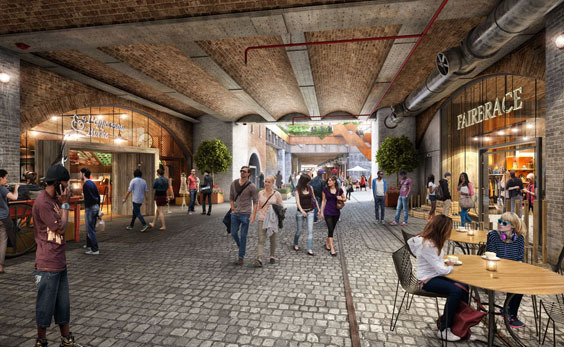 In an attempt to maintain the neighbourhood’s status as a restricted upper class suburb, residents found themselves “with the task of preventing, or at least discouraging, the conversion of dwelling houses into private hotels, boarding houses, institutions, offices, and shops” (Donald Olsen, Town Planning in London, 1984) But its proximity to several tube stations come the turn of the century – Euston, Euston Square and Russell Square – as well as the increase of institutions in the area, including University College London (opened 1826), made this a losing battle as it allowed for more access to transient communities. Still, the ten apartments that comprise Grafton Mansions are quite large, which was an attempt by landowners to appeal to a ‘higher class’ of resident. 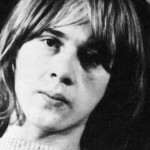 Special thanks to Sean Hogan, who is always roped into being my London psychotronic touring buddy, and thanks to Gary Sherman, Lewis More O’Ferrall, Simon Murphy and Emily Cartwright of the London Transport Museum and the Subterranea Britannica website for helping me put the pieces together.